Ridley Scott’s lavish 1985 fantasy Legend had a taxing and interesting history, script revisions, the studio burned down, the film had to be reedited and Jerry Goldsmith’s score was removed from the US version and replaced by Tangerine Dream followed by a Brain Ferry track over the closing credits to name a few. After a unicorn is killed darkness falls across the land and a forest boy named Jack must save the world and his love before last ray of sunlight disappears forever. 1985’s Legend is simple fantasy tale of good versus evil that unusually leaves room for interpretation. Debatably it lacks any likable characters which is possibly the reason why Labyrinth (1986) and The Princess Bride (1987) fair better in comparison. Tom Cruise, Mia Sara and co are surprisingly subdued and William Hjortsberg’s screenplay is missing the required attention-grabbing dialogue and a sense of journey and adventure. That said, what legend does have is atmosphere, and abundance of it. Many of the visuals in Legend are far superior to the aforementioned and there is no doubt this is due to Ridley Scott’s handling of the production. Tim Curry’s brief performance and make up design as Darkness is fantastic, as to is the makeup as a whole. 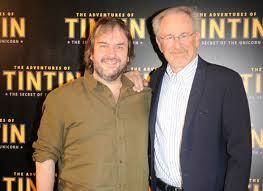 A notable cast also include Billy Barty (Masters of the Universe) and Kiran Shah (The Chronicles of Narnia). Alice Playten’s Blix is sorely underused, Annabelle Lanyon is the peculiar fairy Oona and David Bennent is excellent as the eerie elf-like Gump. The sets are wonderfully constructed this coupled with lighting create a enchanting environment. The Meg Mucklebones is segment is truly creepy reminiscent of the witches featuring in Clash of the Titans (1981). Jerry Goldsmith’s score (reintroduced in the director’s cut) gives the film a timeless feel and underpins the mystical element. Ultimately despite being magnificently crafted it’s a fantasy that is too straightforward and underdeveloped for adults and too scary for children. 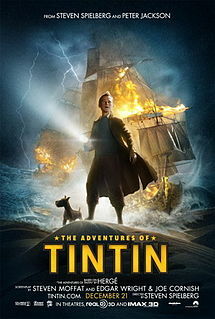 Courageous reporter Tintin, Snowy and Captain Haddock set off on a treasure hunt for three scrolls hidden within a model ships while fending off the villainous Sakharine. 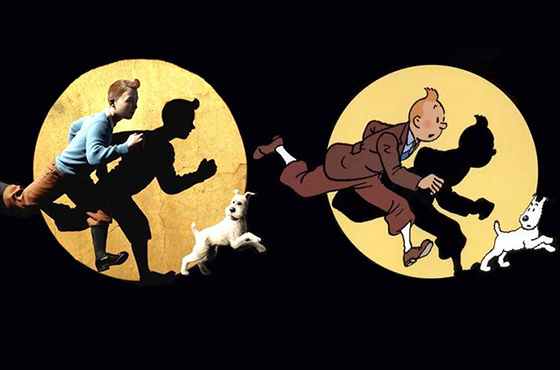 There’s something delightfully wonderful about the visual experience that Steven Spielberg’s Tintin offers yet it is still a stilted adventure. Although it has some awe-inspiring set ups it is just not as fun or as intriguing as you’d possibly expect given Hergé’s source material.